Bring your donations into school on Friday 24th March and leave in the boxes in your class room. You will receive the raffle tickets via your child’s book bag on Monday 6th March which we hope you are able to sell to your friends, family and work colleagues. 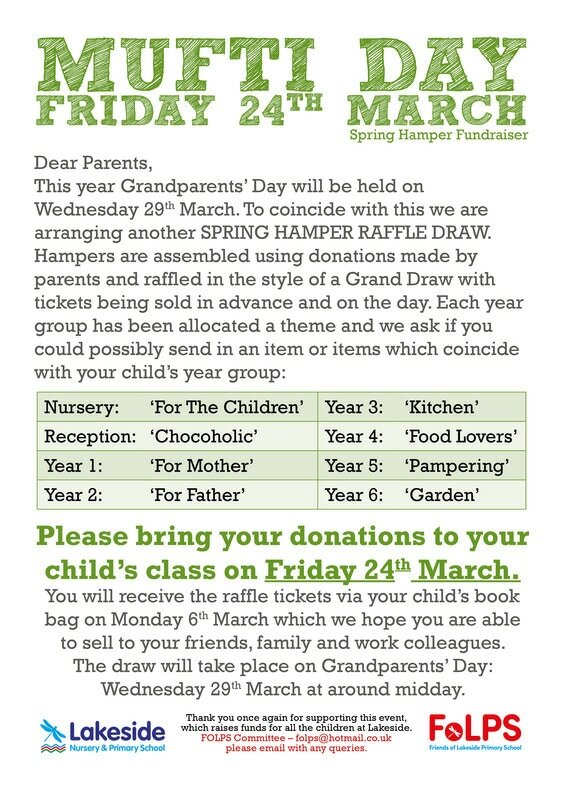 The draw will take place on Grandparents’ Day: Wednesday 29th March at around midday.